I am a terrible human being AND easily amused -- a truly horrific combination. To be fair, it wasn't even my idea. Therefore, it isn't my fault. It's Scarecrow's fault. VERTIGO would be better if it ended with the song "Wipe Out." I still can't stop laughing. This is like the time I made all the Papa Jean puns while watching Les Miserables and chuckled to myself for no reason at all. P.S. DON'T FORGET TO FOLLOW ME ELSEWHERES BEFORE GOOGLE READER IS GONE FOREVEEEEER! IMPORTANT MESSAGE FOR MY FOLLOWERS! 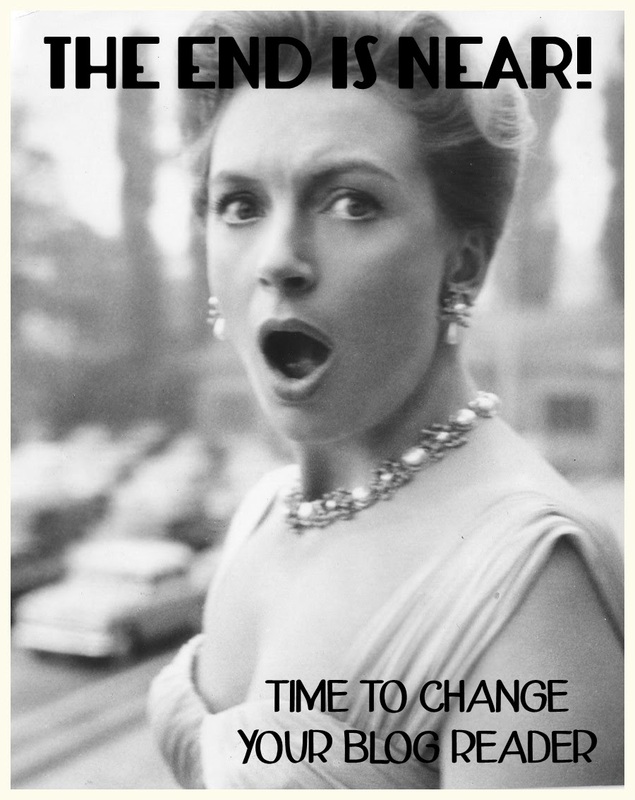 Okay, so apparently, I have waited until the last possible moment -- BUT, Google Reader is disappearing tomorrow (which makes my "Forever Mine" follower slogan seem rather pathetic). I don't want to lose all of you wonderful people. There are a couple of ways that you can currently follow me, and they are conveniently located on the sidebar to your right. I really quite like Bloglovin; I've been using it for a couple of years now. It's super simple and clear. Also, you can follow me through email updates. If there are other kinds of reader services that work well, or that you use -- let me know! I'd love to check them out! See you on the other side, lovelies! Just a few things I'm thinking about on this lovely Friday afternoon. I have been invited to two separate and distinct "summer kick-off" parties this weekend with "watching The Moon-Spinners" as a core piece of the party agenda. This is never a wrong thing. Today, I have a rather bittersweet song (it's deep, okay) for you all: "Love is Only Sleeping." Mike sings lead and Micky plays the Moog! See, RALPH! This is what happens when you go around terrorizing deaf-mute Quakers. Eventually, you start to get a bad reputation. I missed two days. I know. I am forever shamed. But, today, I have a wonderfully happy song for you all! I always LOVED this song, because I was a Saturday's Child -- and we are always forgotten in songs and poetry. I mean, there are the sad, depressing songs about Wednesday and Friday. And Monday and Sunday are PERFECT apparently. But, everyone forgets about Saturday because we work hard for living. SERIOUSLY. THAT'S ALL WE GET. Anyway, thank you Monkees, thank you! Alright, so typically, I only write reviews for movies that nobody has ever heard of/nobody has any desire to watch/nobody is ever going to watch -- but, today, I decided to go for a little something different. That's right. You heard it first here, I'm (spoiler-free!) reviewing a movie that more than 8 people have seen and/or care about. I mainly felt the need to write this very short post (I don't actually have very much to say) because every person ever apparently hates this movie. Now, I must tell you all that I know close to nothing about Superman (besides what everyone knows) and I have little investment in him. I used to occasionally watch George Reeves' Superman with my dad when I was little, but I REALLY hated it. I just wanted to watch Adam West Batman with all the cheerful, insane people. My lack-of-caring-about-superheroes has carried on into adulthood (I'M AN ADULT). I still love Adam West Batman and I own Batman Begins on DVD, otherwise no voy. I actually went to see Man of Steel because it has my favorite modern actress, the queen of my heart, Amy Adams. 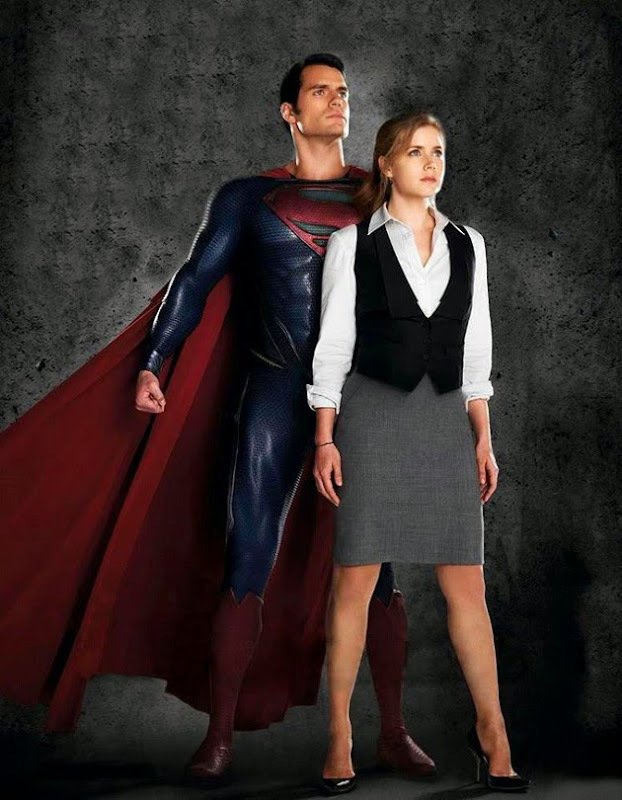 I have no idea what Lois Lane is supposed to be like, but Amy played her perfectly. She was a strong female character with skill and agency and heart and intelligence and personality and emotions and strength and intelligence and I THINK I'M GOING TO CRY. And honestly, the beginning of this movie was killer (heh heh). So well done. And Russell Crowe was stealing the show. The ending of the movie was definitely not as great as what came before it. It dragged on (there may have been several "FINAL SCENE TO END ALL SCENES"). And there were SO MANY BATTLES. Beautifully done and all, but there are only so many times you can destroy everything -- without losing a sense of urgency/tension. But, whatever. Because Amy Adams is perfect. And Henry Cavill is ridiculously attractive. And everyone else is great too (Michael Shannon could play every villain ever and I'd love it). In conclusion, I recommend it. It's fun and lovely. I took my 13-year-old brother to a matinee and he enjoyed the death out of it (he is a huge comic fan). And, of course, he spotted the Wayne Enterprise satellite. Also, because of him, I can CONCLUSIVELY tell you that there is no after-the-credits scene. I got stuck sitting with him for twenty minutes of credits. Yeah. Go see it! It's enjoyable. It's not BRILLIANT CINEMA (tm), but I will totally see it again. P.S. I'm definitely going to see Pacific Rim. I mean, it looks horrific + stupid, but IDRIS ELBA. Idris Elba. Idris Elba. P.P.S. SPOILER ALERT! But, Man of Steel was so The Doctor vs. The Master and I almost started dying from laughter. YOU ARE NOT ALONE! END SPOILERS! Whoa! I'm really cutting it close today! I have just ten minutes to post this. Good thing I never think about what I'm writing, or edit, or contemplate whether it is understandable. Today, I went to see Man of Steel with the youngest brother; expect a short post soon to learn THE MILLIE'S OFFICIAL VERDICT (tm). 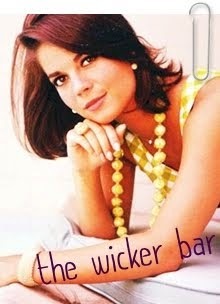 Anyway, since we've heard from Michael, Micky, and Peter -- I suppose it is time to hear from Davy. Now, I am merciless towards Davy's talent. And that's really unfair and misleading. I quite like him. How could a person not love this adorable little British person? IMPOSSIBLE. And, really, Davy is proof-positive of the old saying that I just made up: "A British accent covers a multitude of sins." Anyway, today's song is "Forget That Girl." It's my favorite Davy-sung song. It's soft and happy and lovely. I could honestly listen to it forever. And, as a change of pace, my alternate video today is NOT DISTURBING/NIGHTMARE-INDUCING! No, in fact, it's adorable. GAHHHHH! IT'S 12:00! I TOOK TOO LONG TO WRITE THESE MEANINGLESS WORDS. I SHOULDN'T HAVE GONE LOOKING FOR THAT DAVY CLIP. EVERYTHING HAS BEEN RUINED! Anyway, see you tomorrow. OR I GUESS LATER TODAY. He has a gorgeous voice, but he basically never got to sing lead ("Auntie Grizelda" doesn't exist). However, Davy got to sing lead on 89% of the songs. There is no justice. Anyway, here is "For Pete's Sake": a cleverly titled song written by Peter and sung by Micky. And, if you would like to be horribly disturbed, there is this little gem of a version from the episode, "I've Got a Little Song Here." Welp, that escalated quickly. Poor Peter. Random guy: Who is that on your shirt? Me: The Tenth Doctor from Doctor Who. Random guy: Oh, I only like the classic doctors. Me: Who is your favorite? Logically, at this point, I should have asked him if he thought Omar Sharif's tears were magical -- but, I was honestly too confused. Well, I was pleasantly pleased by the postive response to yesterday's post (seriously, guys, I gauge my self-esteem by how many comments I get -- so, you should feel the weight and guilt of that responsibility every time I post). Today, I have another wonderful song for you all to listen to: "Randy Scouse Git" (released in the UK as "Alternate Title"). Again, this is one of the more famous Monkees' songs, and I love it so very much. It's my favorite Micky song! I love the music and the rising manic-ness of it, but most of all, I love the words. At first glace/twenty-eighth glance, it appears to make little sense. BUT, THAT'S NOT TRUE. There are so many fascinating references, because Micky wrote it during a trip to England. Anyway, enjoy this song and Micky's ridiculously great upholstory poncho! ...helps everyone love a glorious, but horribly under-appreciated band! NO ONE GIVES THE MONKEES THE JUST AND DUE CREDIT THAT IS OWED THEM! The reality is, they were great and perfect and everything right (note: my reality rejects "I Wanna Be Free," "Cuddly Toy," and "Auntie Grizelda" -- the latter, mainly because Peter's unused talent brings pain to my soul). 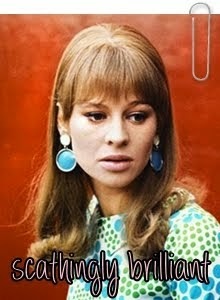 To this end, I will be posting a different, brilliant Monkees song every day! Now, there will be a few minutes of joy in each of our humdrum, lonely lives. First up, "Listen to the Band." "Listen to the Band" is one of The Monkees more famous songs, but not as recognizable as "I'm a Believer" or "Last Train Clarksville." It's my favorite song from Papa Nez, mostly because it is insanely infectious. Listen here and try not to loudly shout LISTEN TO THE BAND! My favorite part of this song comes at the false ending. My brain wants to shout LISTEN TO THE BAND! and is sorely disappointed when the song ends. But then, the music comes slowly back and -- LISTEN TO THE BAND! Join me tomorrow for more Monkee Awesomeness (and I use this word in the correct meaning). 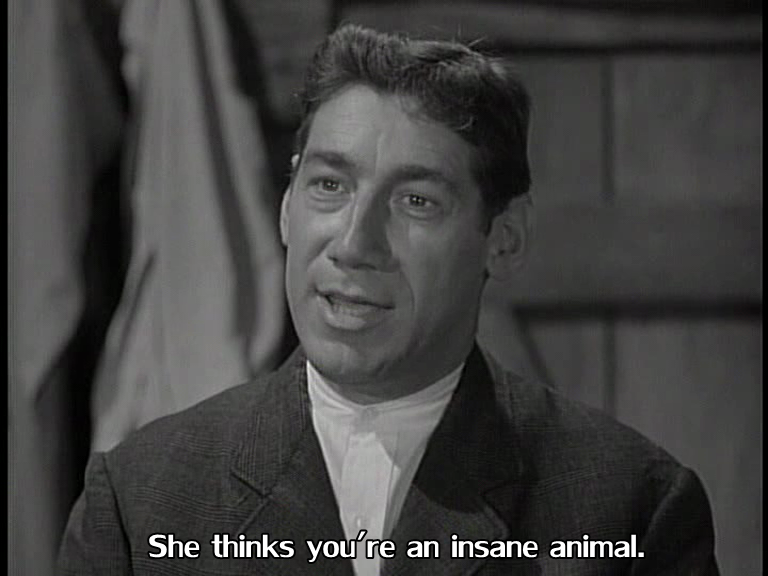 The Maze (1953): What. No. WHAT?! THIS HAS THE GREATEST TWIST ENDING OF ALL TIME! NO HYPERBOLE! Guys. GUYS. GUYS! You need to go watch The Maze. It's on Netflix (only until the 15th, when the rest of my Netflix queue disappears forever), it's on YouTube (I think). I'm sure it's everywhere. I'm too lazy to go look. But, I'm sure there are many ways that you can watch this film both legally and slightly-less-than-what-is-necessarily-legal. You won't be able to appreciate the full magnitude of my delirious excitement unless you too have experienced the "The Twist" (you heard it hear first: best twist ever). While I'm waiting for you to go watch it (it's only like an hour), I'll be enjoying this random gif. Okay, you're back. You're excited aren't you? You need to discuss this, don't you. But, most of all, you want to relieve "The Twist." IT'S A FROG. IT'S A SCOTTISH FROG FROM THE 1700S NAMED SIR ROGER AND IT SCREAMS LIKE AN ELEPHANT, BUT IT'S BEEN RUNNING THE ESTATE FOR 200 YEARS -- when it hasn't been enjoying a late-night dip in the pond, of course. I honestly cannot contain myself. See, I love these terrible horror/mystery/thriller movies, but I thought I had it all figured out. I simply assumed that the surly fiance was a werewolf and that's that. His book reading seemed to seal the deal. Also, the final scene was just great writing. ^Yep. No one would have even blinked twice at the Scottish frog Baron who talked lik an elephant. Not at all. ^There's a message in there somewhere. The characters in this movie are so idiotic, it's hilarious. Honestly, I wanted to get to know Sir Rog better. But, unfortunately, he committed suicide or something. Apparently, no one has ever been frightened of him in the last 200 years. It confused him. Guhhh! Such a great movie. You all need to go watch it. That is all. ^A+ on the whole keeping it a family secret thing. No one will EVER question that gravestone. Ever. Oh, here is my short video reaction-- because, I am an idiot. P.S. An Oscar for this man! Acting at its finest! P.P.S. Random aside with no attached photo, but I really love '50s 3D movies and all the random characters throwing beach balls and yo-yos at the screen. Labels: brilliant, David Tennant, favorite things, mind-smushing entertainment, semi-reviews, video blog, Wait...WHAT THE HECK DID I JUST WATCH? And that brings me to why I have so much to say. I mean, I often have a lot to say. But, then I'm so lazy -- I never write it up. And, one would think that I really wouldn't need to blog this movie, because I did watch it with my mum. I really should have gotten all of my thoughts out while the movie was going. My mum put a strict no-mocking-of-Jimmy-Stewart-in-any-way condition on the viewing of the movie. She threatened to walk out, if I so much as coughed bemusedly. I was dying, so I furiously typed all of my Jimmy-thoughts into Percy. Some of them were more immature than others (I may have described him as a twerp at one point), but I had to get my feelings out somehow. Anyway. The intelligent critique of Jimmy Stewart will not make up the main part of this review -- not at all. How could it? 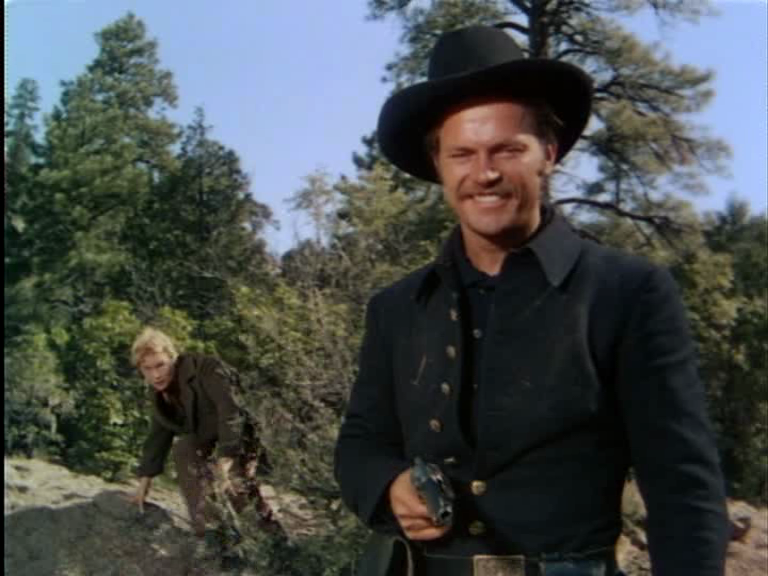 I'm gonna be too busy seriously fangirling over the greatness of Ralph Meeker and Robert Ryan. And, also discussing Janet Leigh's underrated strength as an actress. 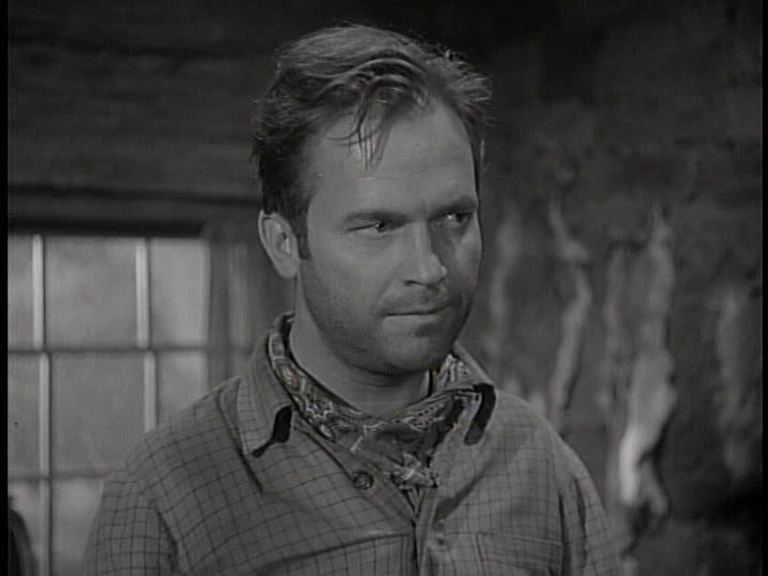 Can we stop for a quick minute (and by a quick minute, I mean the rest of the post) and talk about Ralph Meeker. That actual perfection of a mustache. ^If you guessed that he was actually twirling his mustache, you would be correct. Oh, and the evil smile. And, guhhhh, he was so great. My mother has no appreciation for him. She kept going on and on about Jimmy Stewart being a "conflicted hero" (False. 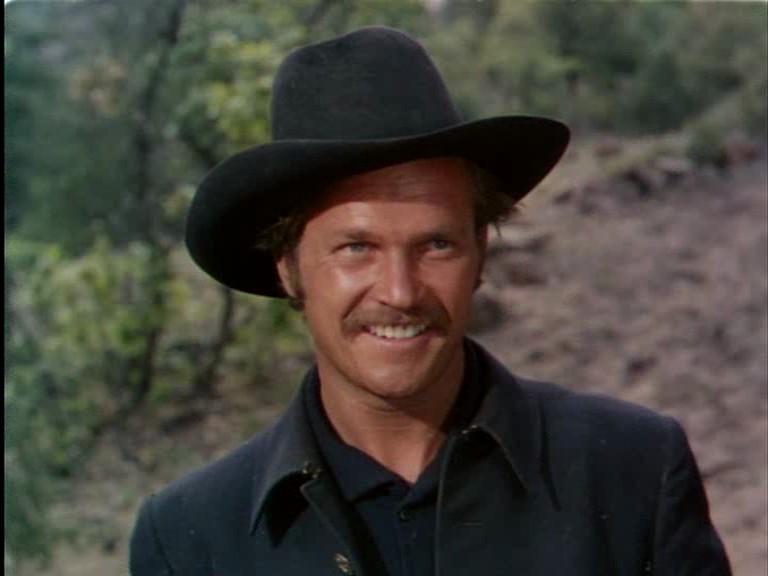 He was a weakling villain), yet when I suggested that Ralph Meeker was a conflicted hero -- this was her response: "No, he's just a creep." Seriously. HOW COULD SHE SAY THAT ABOUT THIS MAN?! Ralph was seriously so great and fun and cheerful and a bit of hooligan. And, I'm almost certain he thought he was the lost Maverick brother (and/or trying out for a different Roy Huggins production). And, oh my gosh. MORALLY UNSTABLE. Okay, okay. I'm gonna move on now. 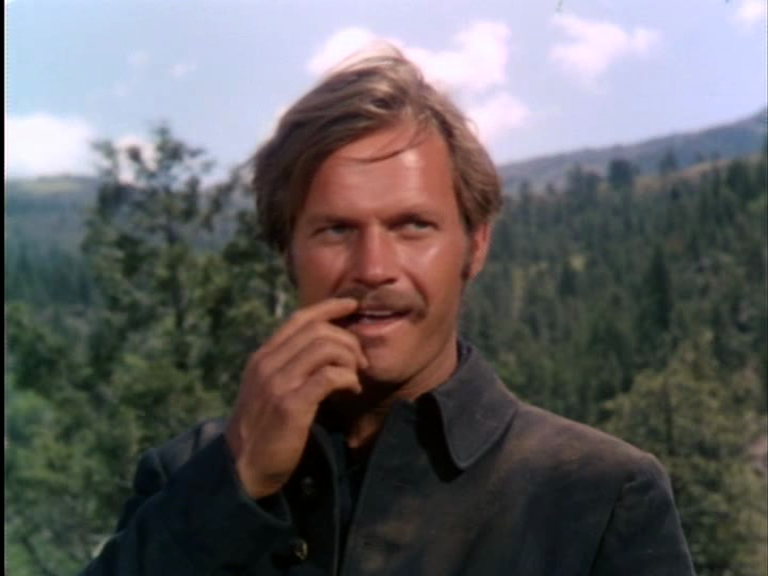 I don't want you to think that this movie was JUST about a beautifully mustached, morally unstable Lieutenant. Because, it was also had a perfect villain with a jauntily placed hat (all real villains have jauntily placed hats). 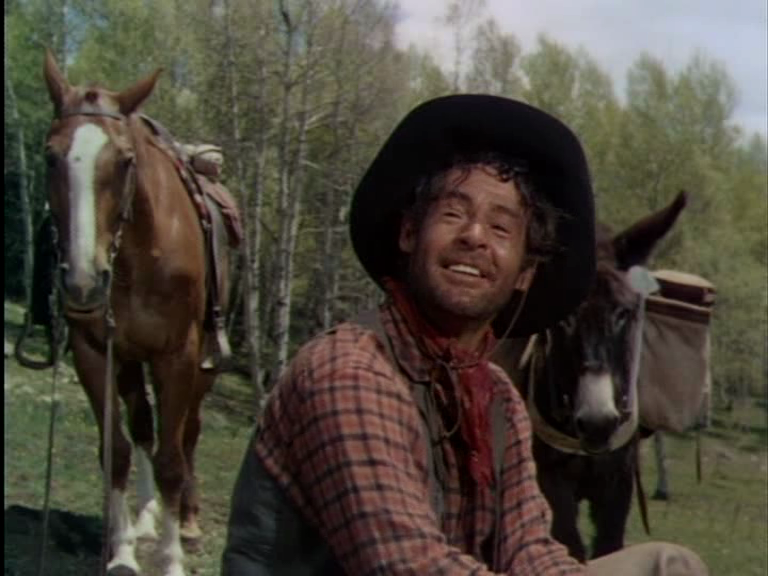 Robert Ryan's character is evil and brilliant and sooo smooth. Near the beginning, he actually appears to be more of a sympathetic character than our so-called protagonist. (I would submit that he is still more sympathetic -- even after killing the old guy -- because, if we are honest with ourselves, we all wanted that old guy gone.) And, as he slowly works on everybody -- PERFECTION. Key line of coolness: "I remember what suits me." OH SNAP. This brings me to Janet Leigh. 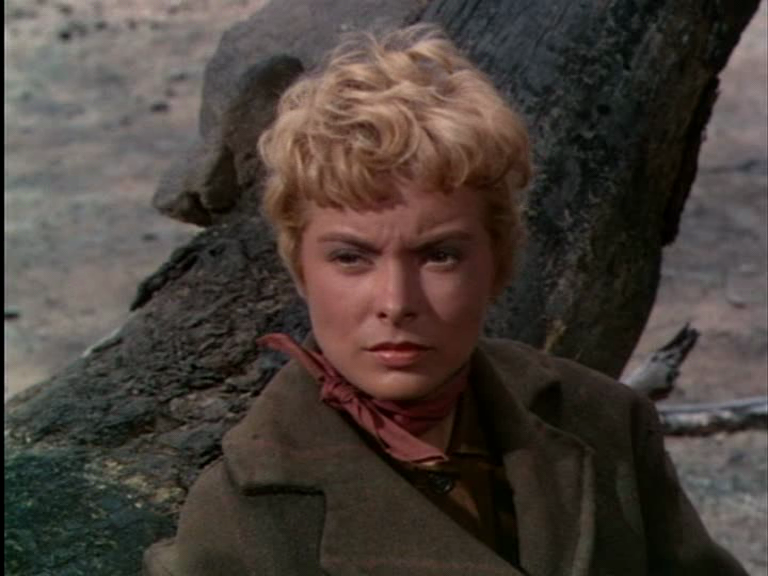 Janet Leigh was a hugely talented actress. I don't think she ever gets her deserved acclaim, but she had a peculiar ability to make an emotional connection with the audience very quickly. (This is really why she is so effective in Psycho.) And this is also why she is so good here. She is given really very little to work with. Her character is basically just used as plot device, and she is treated as a prop throughout. BUT, SHE'S SO GOOD. I only wish that the movie had ended with her going off to be a strong, independent woman -- because the romance with Jimmy Stewart was hilariously non-credible and unnecessary and inexplicable. At least she got to be the catalyst to change her's and everyone else's outcomes (well, except old Jesse. But as we have established, literally no one cares). 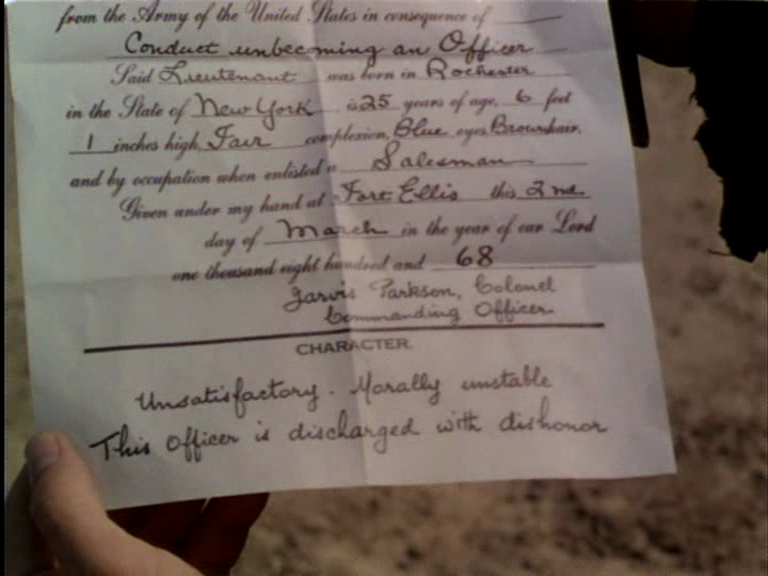 Which reminds me, WHY WAS JIMMY STEWART NECESSARY?! 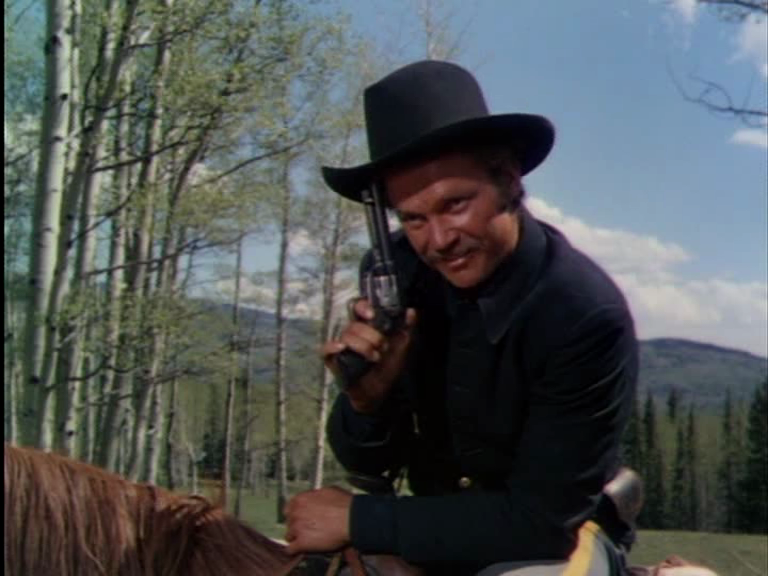 Ralph Meeker's character did all the work. 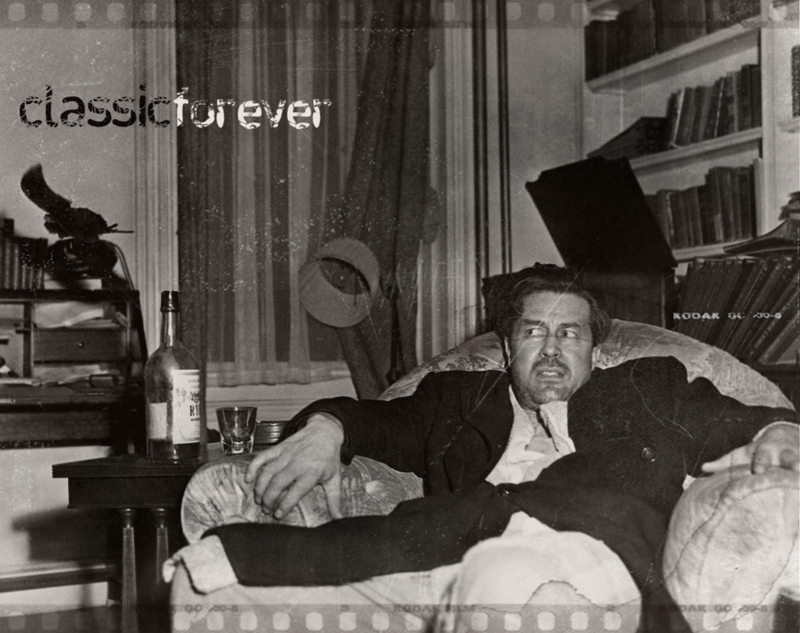 He captured Robert Ryan in the first place, and he killed Robert Ryan, and he went after the body. AND HE SHOULD HAVE SURVIVED TO GO OFF INTO THE SUNSET AND CONTINUE TO BE GLEEFULLY DISREPUTABLE, BUT HE WAS MORALLY UNSTABLE AND THEY KILLED HIM IN THE LAST TWO MINUTES AND WHY DOES THIS ALWAYS HAPPEN TO THE PEOPLE I LOVE. WHY CAN'T I HAVE NICE THINGS. WHY DOES DAVID JANSSEN ALWAYS DIE IN THE LAST FIVE MINUTES. WHY. My mother laughed hysterically, as I screamed, "NOOOO! NOOOOOOOOO!" She also chuckled while saying, "There goes $5,000." My mum's heart is two sizes too small. 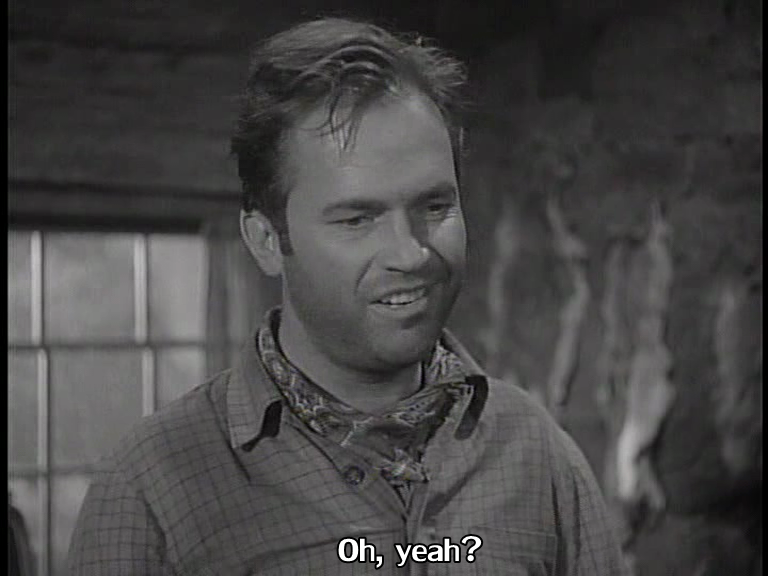 Also, Jimmy Stewart was super quick to say that everyone's dead. He didn't even check on Ralph. He may have just been knocked unconscious. But, nope. Jimmy didn't care and just left him and that's just so not cool. HOPE YOU GET HAUNTED BY AN EVILLY SMILING, MUSTACHED GHOST, MISTER! As much as I mock Jimmy Stewart, I can admit to times when he is a good actor. There are times, I am sure. 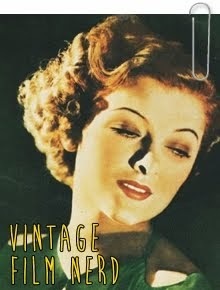 Some days, even, I wake up and think, maybe today I will like Jimmy Stewart (note: I think in Charles Boyer's voice). But, that day does not come when I am watching this movie. He was uncharacteristically shouty and deranged (mostly uncharacteristically). 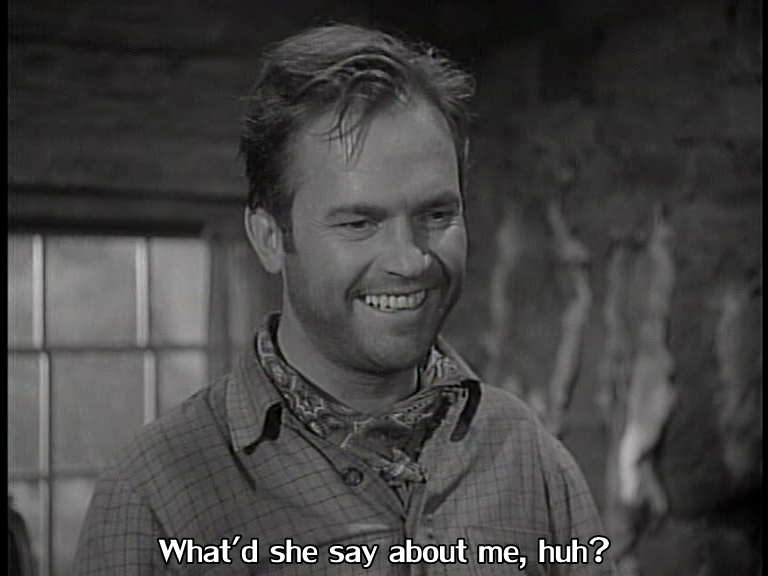 I don't know if he suddenly realized that he was being out-charisma'd by Ralph Meeker and Robert Ryan and tried to counter-act that by darting his eyes around crazily and screaming. In any case, it was rather bad. His screaming was ridiculous. The far-away look in his eyes as he talked about cattle was hilarious. And the way he fell down cliffs was just so amusing. I couldn't stop laughing on the inside. I think my favorite scene was when he was calling out for "Mary, Mary!" And, it sounded just like he says it in It's a Wonderful Life (I really wanted him to mutter something about Zuzu's petals under his breath) and I may or may not have concocted an elaborate back-story where this is an alternate universe IAWL and Mary traipsed off without him and happily married Sam Wainwright. Also, Jimmy was definitely wearing Kid Curry's coat. ROY HUGGINS, YOU ARE EVERYWHERE. At least Ralphie didn't die 'till the end. I would have missed his lovely shenanigans. I was definitely rooting for him + Janet (I'm only joking, I know that he was terrible human being). I mean, if it had been reversed and it was he instead of Jimmy at the end -- things would have been different. 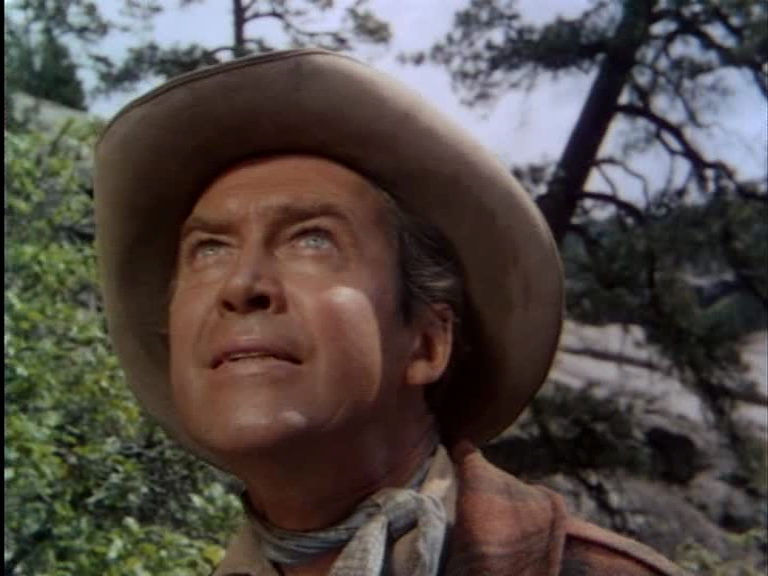 First, he obviously would have just taken Robert Ryan and cashed him in. But, if for some reason, he was persuaded not to -- he definitely wouldn't have buried him. 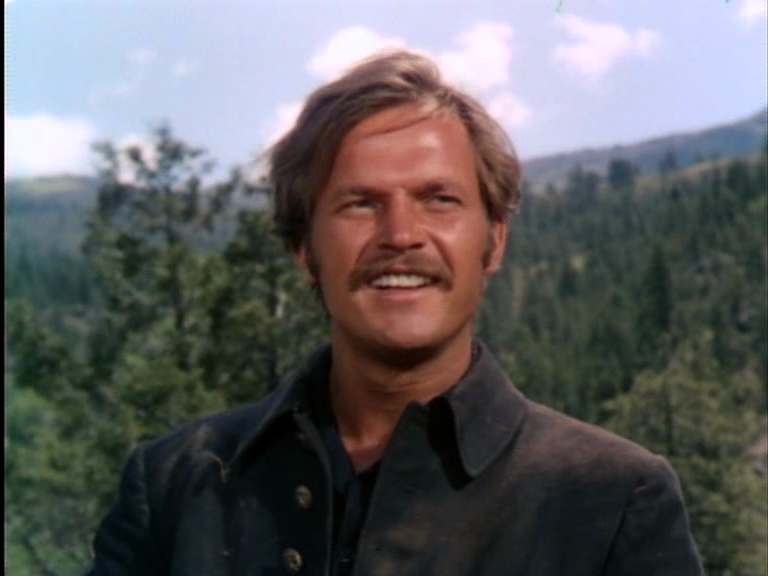 He would have just thrown him into any nearby canyon ala Big House, U.S.A. (classic Meeker). No use crying over what can never be. Goodbye morally unstable, evil smiling sir. I actually had this written in my notes: "So smiley." I think I was referring to Ralphie, but it really works for both him and Robert Ryan. I have a terrible (literally; this is literally terrible) weakness for evil smiles. I mean, I HAVE A TAG FOR EVIL SMILES. 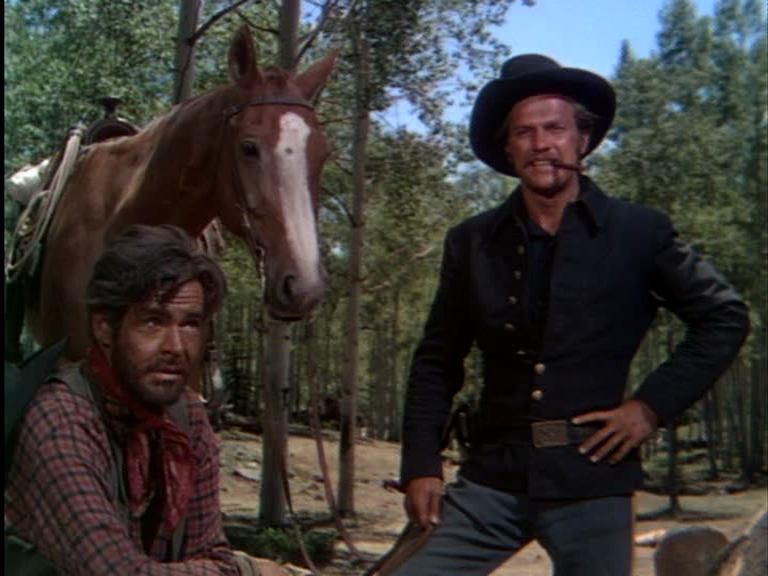 Anyway, I quite like Anthony Mann and he did a beautiful job with this movie. The cast was wildly divergent, but A+ for Ralphie and Mr. Ryan and Janet Awesome Leigh. The cinematography was gorgeous. The story was iffy. And the ending was awful. I WANTED SEQUELS WITH THE CONTINUING ADVENTURES OF OUR MORALLY UNSTABLE HERO. But, I'm really okay now. I'm calm. It's okay. I can deal with this. I would absolutely recommend the movie. Watch it for three talented actors. P.S. 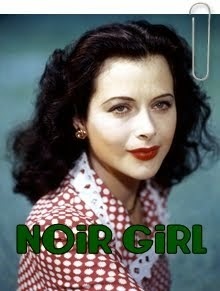 I have decided to restart the Deanna Durbin: From the Beginning series. Expect a Three Smart Girls post soon.